If you've successfully jailbroken your iPhone running on iOS 11.2 - 11.3.1 using Electra jailbreak then you may consider installing the newest updates to Substitute and Tweak Injector as soon as you humanly can. As Electra iOS 11.3.1 jailbreak gets a safe mode. What Is Electra Safe Mode Means? Safe mode has been a part of jailbreaking for many years, so it is good to see the Electra team adding support for it. Your jailbroken iPhone or iPad enters safe mode to prevent your device from getting into a boot loop situation after installing a problematic or incompatible jailbreak tweak. 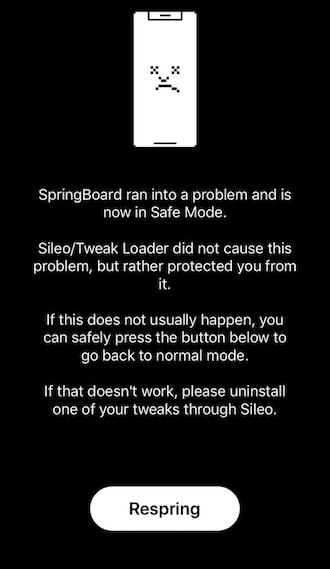 The safe mode disables jailbreak tweaks so it gives you the opportunity to remove the jailbreak tweak that may be causing the problem. To enable Safe mode on Electra iOS 11.3.1 jailbreak, launch Cydia and install the updates for Substitute and Tweak Injector packages. We would strongly recommend you to install the updates to enable safe mode on your jailbroken iPhone or iPad. As always, let us know how it goes in the comments.